Spring has finally arrived in Southern Ontario after a long snowbound winter. The first snowdrops, crocus and scillas are pushing through the earth, the forsythia will bloom any day now, and the first little mouse has appeared on my doorstep. It is quite dead, neatly laid out, not mauled at all, the first offering of the year from our small cat. 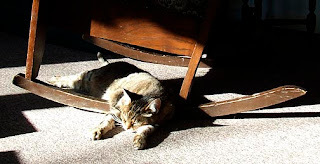 Princess is a classic tabby, with the mottled markings that shift from stripes to spots as she moves and are such perfect camouflage for her hunting expeditions. The instinct for hunting is ingrained in her DNA, and reinforced by her early life as an alley kitten before we took her in. 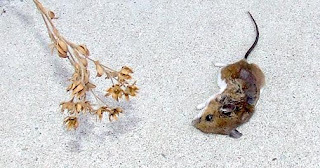 But still, I shake my head as we decide on a final resting place for the poor mouse; we choose between a flower pot or under the periwinkle beneath the rowan trees. 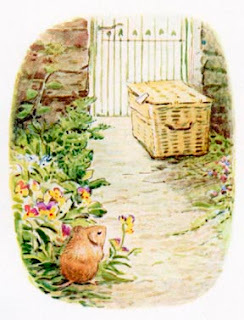 It was very much a country garden, Beatrix Potter type mouse. Like Timmy Willy "who went to town by mistake in a hamper." I think I have all the Beatrix Potter books on my shelves. The most read copies are very tattered and precious, those I keep. 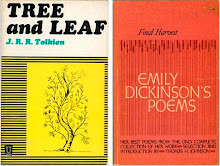 But I do have two spare copies of The Tale of Pigling Bland, in good condition with green covers and dust jackets, and they are just waiting to be well read too. 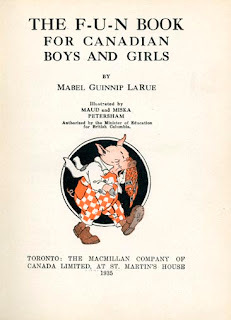 So I will give them away to the first two readers of this blog who send me an email at avriljoyce@cogeco.ca The Tale of Pigling Bland, in case you don't know, is the saga of a piglet who had to leave home and seek his fortune because his mother had too many hungry piglets to feed. "Yus, yus, yus! they eat and indeed they do eat!" Some of the most treasured books on my shelves are a very small collection of childrens early school readers from days long gone. 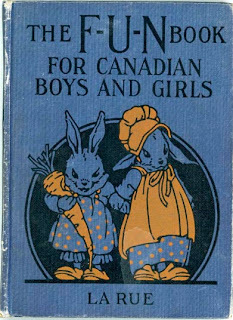 They were often illustrated by talented artists, in this case by the award winning husband and wife team of Maude and Miska Petersham. by the engaging little pictures? But that is a topic for a future blog. What a delightful site you have! I am visiting you via Middle of Nowhere, and so happy to have found you. I'm another B Potter fan, from my long distant childhood. 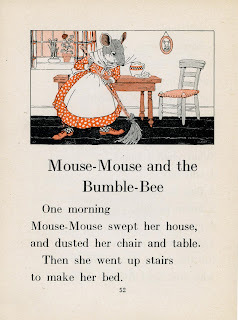 Years ago, having seen a grand Potter exhibit at the V&A in London, I signed up as a member of the Beatrix Potter Society, and for years received their charming newsletters, though found my trips to the UK never quite coincided with the Society's meeting dates. About Cleopatra's Needles, here, London and Paris, I had to consult the magic of google, and found lots of information on Wikipeidia. The three needles actually pre-date Cleo, and the London and New York needles were a pair erected way back in 1450 BC by order of Thutmose III. I think you will enjoy clicking on google too, rather than having my poor summary of the years between 1450 BC and 2009 AD. Looking forward to future visits back and forth across the Atlantic. Lovely, lovely blog. I look forward to seeing more!! Have a lovely Easter! Hello! I just found your charming blog. What a kindly meant present from your cat. I too am a Beatrix Potter fan, she was such an amazing woman, and a bibliophile as well!